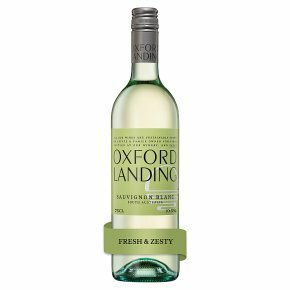 Fresh and crisp, with citrus and green apple flavours and a bright clean finish, this attractive South Australian Sauvignon Blanc has an enticing long palate. This wine would make a fresh, satisfying apéritif and is also a good match with seafood, fish or chicken as well as light soups or vegetable stir-fries. Wine of South Australia. Estates grown and bottled. Vegan friendly.